Ready for sun, cobble stone streets, rich history and beaches? If you have never graced the brick laid streets of St. Augustine then, my friends, plan a trip! It is hands down one of my favorite all time places to visit. 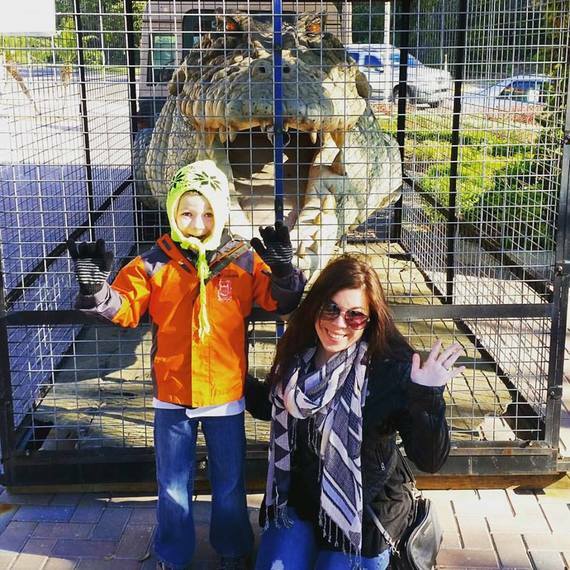 From historic museums to ghost tours there is truly something for everyone! 1. 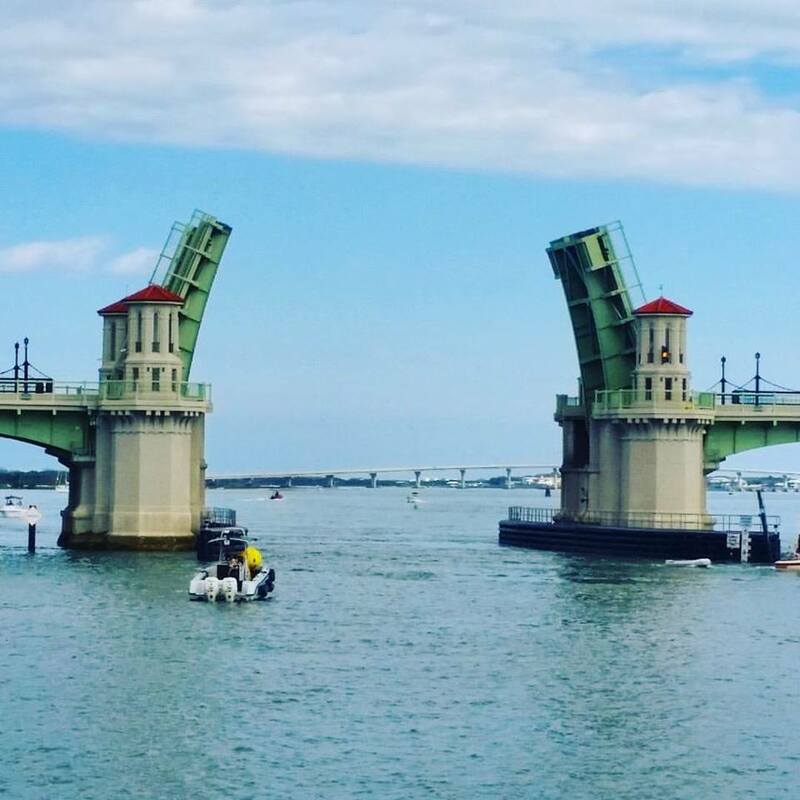 Bridge of lions can be seen as you enter the Old city from A1A. It is listed on the National Register of Historic Places due to the four towers in the middle of the draw bridge. The two lion statues set "guarding" and accept both walking and vehicle traffic along the inter-coastal waterway. Not only a great place to sight see but also perfect for "selfies". 2. Start your morning off with a Scenic cruise. They have several in the harbor you can choose from but I recommend booking for an early departure. This gives you the best chance of enjoying dolphins! We enjoyed some dolphins by the boat before our scenic tour even began. 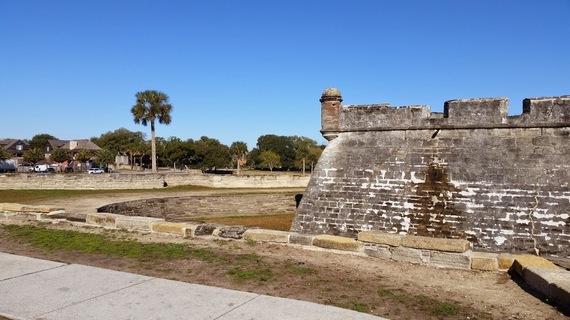 Many tours give views of the Castillo De San Marcos and ever glades where you just might see a gator or eagle hanging out! 3. Castillo De San Marcos Fort is my next suggestion. I like to visit here early on as the crowds can get rather heavy towards the afternoon and evening time. This is a great fort to explore with kids and immerse them in the rich history it has. They often have cannon demonstrations, tours and guards walking about to answer any questions you might have. 4. Walk St. George Street . This is one of my favorite places to gather with family and friends. It houses restaurants, shops, connects to local attractions. Enjoy these great places in walking distance the Oldest Sooden School house, Spanish Military hospital, Pirates Treasure museum, Villa Zorayda and so many more. I also recommend a small little coffee shop secretly located by this water fountain (pictured above) just off St. George and Orange street! Many of these shops open later in the day and close by 5pm so keep that in mind when planning your day. 5. This city might be old but has so much to offer. I recommend staying close by to rest your feet and recharge! Bed and breakfasts are conveniently throughout the old city. Enjoy St. Francis Inn if you are traveling with kids as they can accommodate and provide extras like dessert at night! The Agustin Inn is also a great choice for couples. 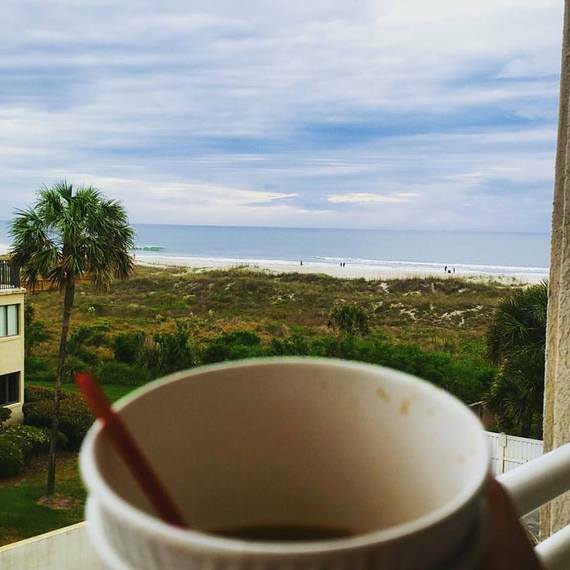 If you want to enjoy the sandy beaches and sun but still stay close to town try the Holidayisle Oceanfront Resort. Many of these have shuttles that run to the Old City and also carry extra amenities! 6. If you do happen to go out of the Historic town they have several others great Must-See places. 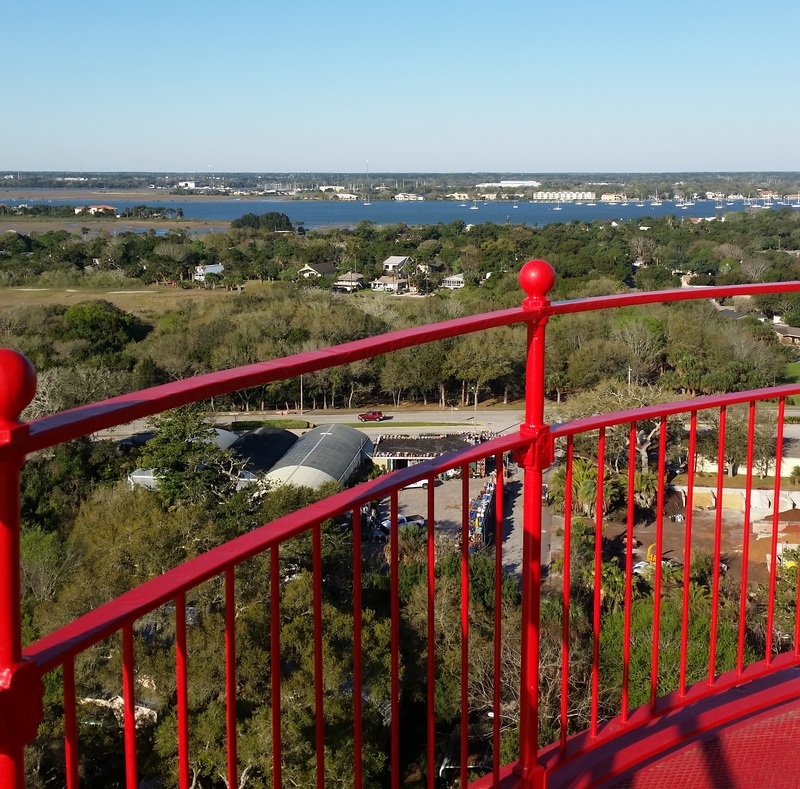 Enjoy walking up 200 plus steps at the St. Augustine Lighthouse and Museum. The views from the top are breath taking! They also say it is one of the most haunted places, let us know if you agree with that! 7. I also wanted to mention another place we frequent when visiting, Alligator Farm. Many journalist, photographers, school clubs and families gather here to explore and wander the wooden walkways through many types of reptiles, birds and mammals. I love taking my son and letting him feed the birds, learn about the new babies being born there and visiting the largest alligator they have named, Maximo! 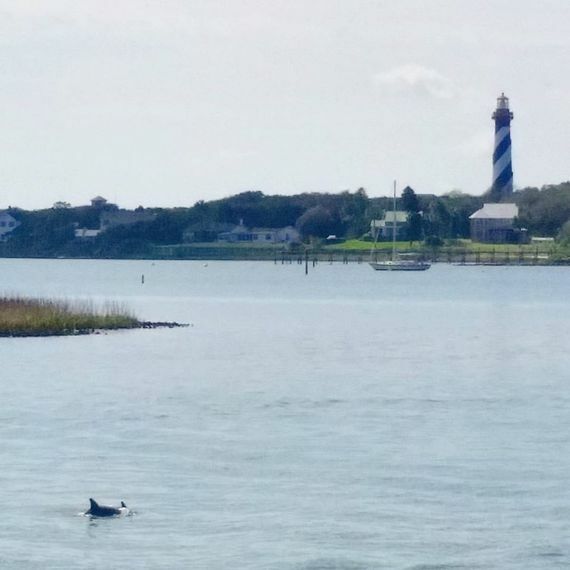 St. Augustine is such a wonderful town to visit I know I have only touched on a few key places to see, experience and visit but please share some of your favorites in the comments below!